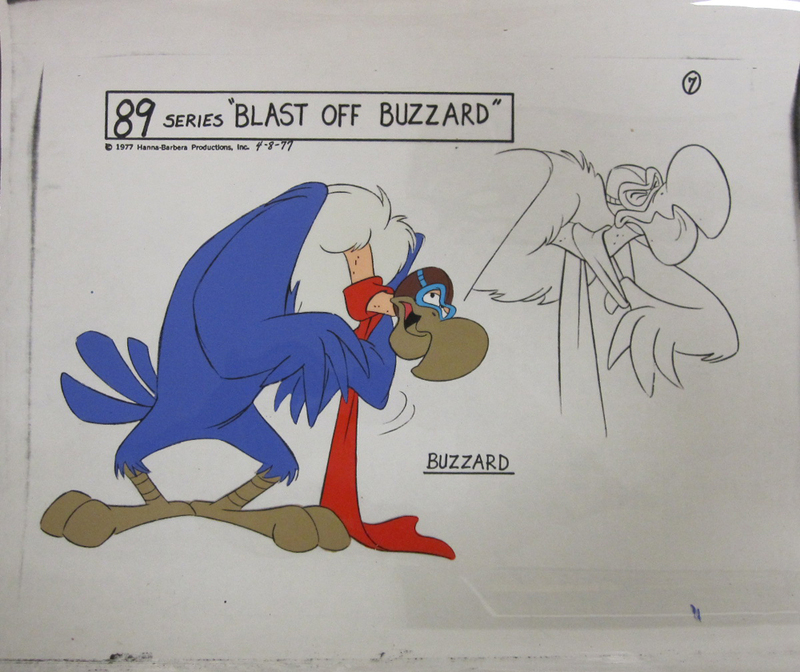 This is a hand-painted color model cel featuring Blast Off Buzzard from The C.B. Bears (1977). The untrimmed animation cel measures 10.5" x 12.5" and the image measures 6" x 7".